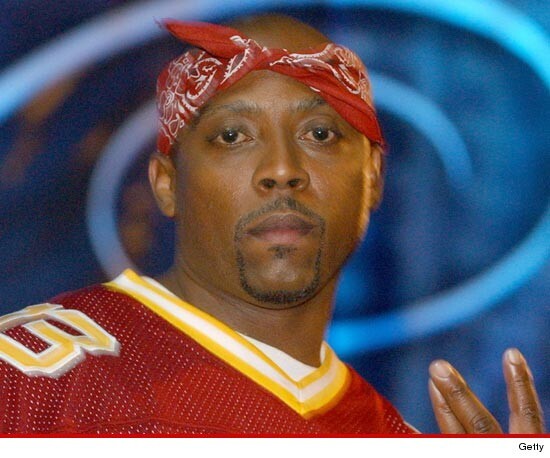 Nate Dogg's kids are 100% against having their grandmother or their stepmother in charge of their late father's estate ... so says Dogg's daughter. As TMZ first reported, when the rapper died in 2011, he didn't leave a will to divvy up his assets ... so his wife Latoya Calvin took charge. His kids didn't agree and asked the court to nominate an attorney named Alex Borden instead -- but no cigar. Latoya filed new legal docs this week, requesting Nate's mother, Ruth Holmes, also be named as co-administrator of his estate ... a move that does not sit well with Nate's children. Dogg's daughter, Aundrane Hale, tells TMZ her grandmother is only involved in the filing for the money, saying, "Ruth doesn't have my best interest or the interest of my brothers and sisters." Aundrane says that if Latoya and grannie Ruth are the head honchos, they won't give the kids one single penny. She says Latoya "didn't even show up to Nate's funeral" and says that Ruth "was never a grandmother" and has withheld money in the past. Latoya's lawyer tells TMZ, "The interests of the beneficiaries in the estate are set by law. Latoya has nominated Nate's mother, Ruth, to serve as co-Administrator because that was Nate's desire. Ruth is not a beneficiary and will receive nothing except 1/2 the Administrator's fee." The lawyer adds, "Latoya's goal is to maximize the distributable estate for ALL beneficiaries. Hopefully, resources will not be wasted on infighting among the beneficiaries."